A couple of times a year I’ll be out running errands and as I get close to home I’ll see a sign posted on the corner telling me that my neighborhood is currently under a “water boiling alert.” The city is doing some kind of waterline maintenance work and the water that’s coming through my tap isn’t the safe-to-drink stuff that I’m accustomed to. That’s good to know. If at all possible, I don’t want to get sick from drinking or cooking with contaminated water. I just wish there was a better way of getting the word out about the water boiling alert. I work from home and can go a few days at a time without ever leaving the house. That little sign posted on the corner does me no good in times like those. The message here is that we all need clean drinking water. When most people start prepping, the first thing they think about is storing food. That’s what I did. But the more pressing need is for water. Even before I started storing extra food, between my freezer, refrigerator, and cabinets, I probably had enough food to live on for four to six weeks. But how long would I be able to go if my water supply were cut off, too? How many days would I be able to go with no more water than what was in my house right now? The answer? Not long. I think most readers have probably taken clean water for granted their entire lives. We twist the handle of a faucet and it pours out. We have so much of the stuff, so cheaply available, that we flush our toilets with it. Try explaining that to someone from the third world who has to walk a long distance to draw water from a community well and lug it back to their home. It’s a lot of hard work, but it’s better than getting dysentery from drinking out of a polluted creek. By the way, you can give to an organization that helps provide clean water to third world countries here. 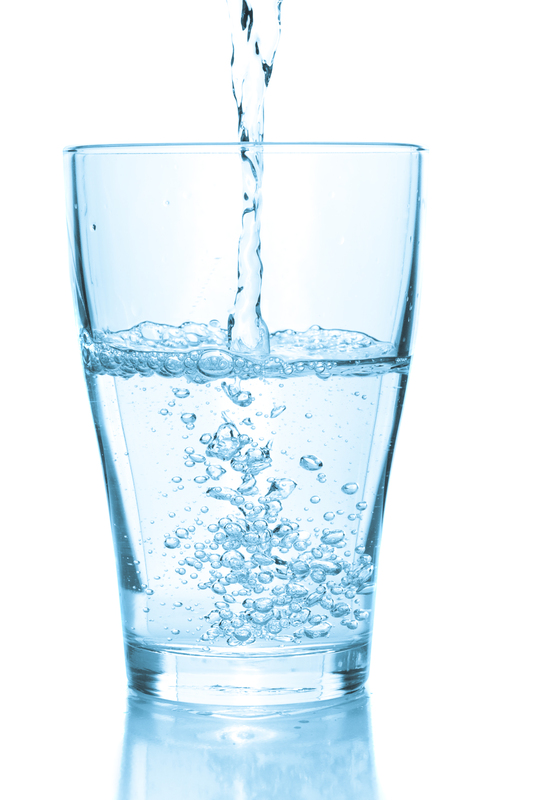 It’s been reported that the average American uses somewhere between 70 to 100 gallons of water per day. That’s for everything — drinking, cooking, flushing, watering plants, bathing, and washing things. We use a lot of water. I would go so far as to guess that we waste most of it, but that’s a topic for another blog (but not entirely, as we’ll get to in a moment). What would it be like if you lost access to clean drinking water for an extended period of time? How would it affect your overall usage of water? Would you have any water stored for such an emergency? 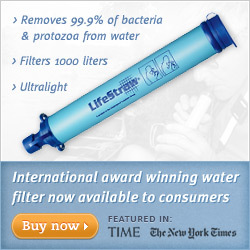 Would you be able to filter and purify any water source that you may have available? Water. It’s food for thought.